I think the worst thing about hypey marketing trends is that they rob people of an opportunity to connect to what really matters. Marketing can be a platform for both sharing and receiving pertinent information and inspiration. But more often than not, the advertisements and websites we see every day are either a generic description of services or an effort by advertisers to lure us away from our intuition and brainwash us into buying something we don’t really want or need. Many people who come to me for help with attracting their perfect customers have been told that their marketing must be slick, professional, and targeted to a specific audience. There’s a popular concept circulating among marketing gurus that there is a certain way to do things that will bring success. We are encouraged to follow these trends as if failing to do so will result in certain failure of our business. That, my friends, is hype. When we try other people’s scripts or in-the-box strategies and templates, this will often run counter to what’s most important to us, and we do it in the name of being businesslike. In fact being personal and vulnerable has been seen as antithetical to professionalism. Even though we have created our businesses as a reflection of our true purpose, many of us strip our marketing of any passion and fall in line with the trends. When we do this, we are holding back what is most compelling about our business, our unique voice. Just imagine your perfect customers who are out there seeking you right now. They are not just looking for that specific set of services or products you are offering. They’re looking for someone they can like and trust, someone who understands their problems and can relate to their goals and aspirations. They are looking for the real you. But if the real you is not showing up in your marketing, your perfect customers will not recognize you when they find you. They will only recognize you when you are transparent and real as you market yourself. What Makes You and Your Perfect Customers Tick? Every day I speak with people about their marketing and their websites and the one thing that’s usually missing is their authentic self. That’s because most marketers don’t ask you about what your soul’s purpose is as they’re helping you with your sales copy or programming your website. It’s just not a question that comes up. But I happen to know that it’s the most compelling thing about us, our passion. When you clarify what makes you tick and share that in your marketing, your perfect customers will find that irresistible. 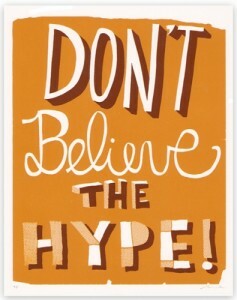 A lot better than hype and brainwashing! The thing is that holds a lot of us back is fear of sharing our vulnerable selves. I mean, why else when you really look at it would we put forward some generic, polished sales message or image and leave hidden what is most compelling and inspiring about us: our true purpose, our real passions? It may feel uncomfortable at first revealing our vulnerable selves, but as we continue to share, we can build a network of connections who really get us and want to work with us for who we really are. They want to work with us because we are simpatico. These are our most perfect customers, the ones who are on the same path in life. As we become more authentic in our marketing and share from the heart with those who are attracted to us, the more we realize that what makes us tick is what makes our perfect customers tick. We are here to help each other continue on the right path and shine our true light to the world. So when you experience being hyped by someone’s marketing, I give you permission to let go of that avenue of information. And when it comes time to create your own marketing, just make sure it comes from the heart and is not exaggerated for effect. Just tell it like it is and your perfect customers will respect that. 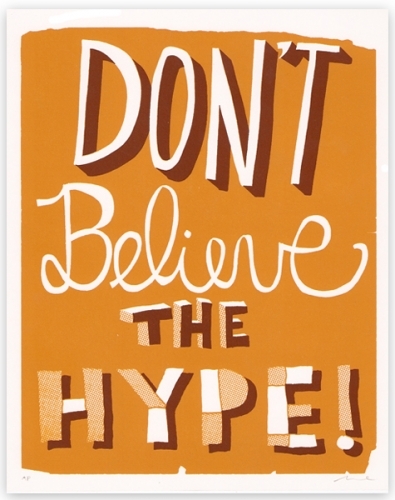 Are you done with hype in marketing? What do you feel needs to be included in a new paradigm for marketing? I’d love to see your comments in the field below and please feel free to include your website address so we can support you too! Julia Stege uses Magical Marketing methods to help entrepreneurial women cunleash their rebel voice, attract their tribe and change the world. Those who are ready to bring their soul’s work to the world are encouraged to download the Magical Marketing Toolkit to take step one in attracting your tribe. Visit httt://www.MagicalMarketingToolkit.com to get yours. By God, she’s got it! Loved and related to what you had to say. When I read some of the descriptions of the events people are offering for sale, I think I hear big band music, see balloons and fireworks, circus tents and rides. I see overpromises, forced cheer, and a defocus from a true message. My passion is, simply put, to help small business owners and entrepreneurs follow their dreams and learn how to obtain and sustain success in all areas of their lives. I see it as an important service and when I communicate with my current and future clients, I hope I come across as grounded and truly available and present as you do. When it came to marketing I felt stuck because the rules didn’t make sense. I felt overwhelmed and phony so I did not market myself or business at all. Now, I feel hope because I can share from the heart and that’s easier then trying to remember a written script. Thanks for a wonderful article and reminder that it’s ok to be authentic. I’m looking forward to creating marketing from the heart. This is so amazing and true. I discuss business and marketing from the edges of hip-hop and sexuality, and I make it clear that what makes us great in bed will make us great in life: passion, energy, and performance. Vulnerablity – and sensitivity to your partner’s needs – improves communication and understanding because they can relax and open up to you and you can adjust and deliver. Have read this site for a few days and love the vibes and philosophy. I hold an IMMS and MFA.